GLOBAL — Today the California Environmental Associates released a new body of evidence that demonstrates that grassroots climate solutions are needed philanthropic investments in the wake of the climate crisis. 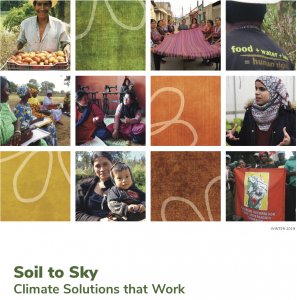 The report, Soil to Sky: Climate Solutions That Work, connects the dots between grassroots solutions, carbon mitigation, and building resilience among climate-impacted communities for the long-term. For example, if agroecology – a practice, science, and movement that uses ecological concepts and principles in the design and management of sustainable agricultural ecosystems – was invested in at scale, it would mitigate the same amount of carbon emissions by 2050 as China emits in the same time period. Agroecology also restores water health, builds political power at the local scale, and ensures communities have access to culturally-relevant food. Over the last few decades, larger funders have predominantly supported top-down strategies to address climate change, and have neglected bottom-up solutions deemed ‘too small’ or ‘too diffuse’ to support yet that have significant greenhouse gas emissions reduction potential. Grassroots solutions – those led by communities local to the problems they seek to solve such as Indigenous Peoples, women, peasants, and youth – include agroecology, community governance of renewables, direct resistance to resource extraction, and Indigenous Peoples as frontline defenders. Collectively, these solutions are lifted up by movement-building and the advancement of gender equity. Societies must undergo unprecedented transformation to limit global warming to 1.5°C and prevent catastrophic impacts to the planet and its communities. Soil to Sky: Climate Solutions That Work uplifts the solutions that have too often been excluded from climate philanthropy, yet have great potential for scaled impact on the most urgent crisis of our time. You can download it here. Please join our global Twitter chat exploring the themes of the report on April 22nd, 9:30am PST, and a webinar spotlighting the grassroots climate solutions explored on May 15th, 9am PST. To find out more, sign up here. 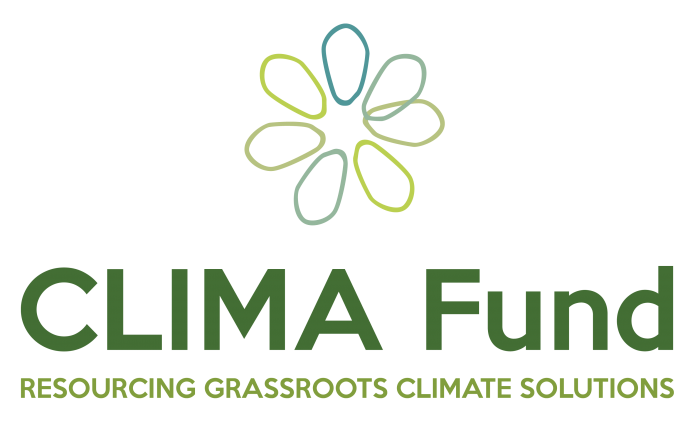 The CLIMA Fund aims to dramatically increase funding for indigenous, peasant, women, and youth-led grassroots movements building climate resilience and confronting roots causes. The Fund is a unique collaboration between four public foundations: a collaborative funding partnership between Global Greengrants, Grassroots International, Thousand Currents, and the Urgent Action Fund for Women’s Rights. With a global reach and over 100 years of collective experience in international grassroots grant-making, the Fund offers a way for large foundations to efficiently and effectively reach grassroots work globally. We use complementary models to holistically support climate movement-building, from rapid response for environmental defenders to long-term partnership and support to social movements.